If you prefer OFFLINE work, we have several of the third level courses available in book form. Go on a math journey. Watch the shape song. Draw each shape it sings about. You don’t need a worksheet for today, but you should decide if you want to print out the worksheets for the year (over 100 pages) or buy them as the printables workbook. The worksheets to print will be linked on each day there is a worksheet needed. The story of Paul Bunyan is a tall tale. What parts of the story are obviously made up? We are going to be reading and writing poetry at first this year. When you write poems, are you going to write crazy, made up things or are you going to write about real life? If you want (and are allowed), here is a Paul Bunyan cartoon you can watch on YouTube. Click on the numbers that add up to whatever number it shows you. Play shark numbers. Count the tens and then count the ones and click on the number. Play tangrams. Choose a picture to make. Click “lines on.” Move and turn the shapes to get them to fill in the shape. This is tricky too. Read the first four poems by William Blake. Each section of a poem is called a stanza. There is a space between each stanza to show you where each stanza starts and stops. If you copy more than three, get a high five and/or hug. You are going to work on your typing. This site is a lot of fun and will help you write words quickly. Internet Safety Reminders: Do not download anything onto your computer without permission. Do not click on any advertising on a website even if it looks like a game to play. Don’t give out your name, address, phone number, email address, photo, etc. online without permission. Do you remember these words: browser, desktop, window, crash, loading, refresh, download? If not, ask someone. Buy the item with the exact amount. Read poems 10 and 11. Copy the first part of the first line of each stanza from both poems. *Use the tally mark chart to answer the questions. Check your answers. Make the numbers using stacks of tens and blocks of ones. Use tens and ones to make numbers. Make 13, 25, 61, and any other two-digit number. Take the test. Do the first 10 questions. Read poems 15, 16 and 17. The “nurse” in poem 16 is not a nurse like in a hospital; it’s a woman in charge of watching the children, like a nanny. Copy one of the stanzas from poem 15. Make it look like the poem. Make sure you copy all of that punctuation and write it on nine lines like how you read it. This year you are going to learn to play chess. Go to chess school. Learn about the chessboard and pieces. Next time you’ll take the quiz. *Label the even numbers based on the numbers already on the line. Use the numbers that are there to figure out the missing numbers in the pattern. Check your answers. Make numbers. Drag one of those big squares of blocks onto the work mat. What number does it say? 100! There are 100 blocks in that square. It’s 10 stacks of 10 blocks all put together. Make the numbers: 142 and 375. Now you are using hundreds, tens and ones. Make numbers. You are using hundreds, tens and ones. Make a big number. Do you see the hundreds, tens and ones. Click on the button to see them all put together. Click on new and make another big number. Write an I love you poem to someone. Write at least three lines. *What numbers come before and after? Which number is the hundreds? Check your answers. Click to play “10 more”. It will tell you a number. Add 10. Remember how? Add 1 to the ten’s place. It’s easy on the chart. Just look down one row because each row has ten numbers. When you find the right answer, click on next to get your next number to find. When this is easy for you, go on to number three (below). Play again. This time click “11 more“. That’s adding 10 and adding 1. Now you will add 1 to the tens and 1 to the ones. What happens when you add 1 to 9? Do you remember? It’s easy on the chart. Just move down one row to add 10 and over one spot to add 1. Rhyming words end with the same sound. Alliteration is when words next to each other start with the same sound. This poem has both. Do the activity on rhyme and alliteration in poetry. *Print out page 1 of this spelling worksheet. Follow the directions and fill in the blanks. You can check your answers on page 2. *Count by tens Add on ten at a time and fill in the blanks. Answer the addition questions. Add by 10s. Check your answers. Can you do it? You can try this game to make sure you are doing it right. Choose 10 more. You just jump up one row to add ten. You can use the chart to check your answers. Internet safe search — When you want to find something on the internet, you have to be careful how you look for it. Here are some tips. Be as specific as possible in your search. Type as many words as you know that will help you find what you are looking for. That will help keep things you are not looking for from coming up. Also, use kid friendly search engines. You can turn on Youtube’s safety switch at the bottom of any Youtube page. You can also ask your parents to turn on Google safe search. Other sites’ safe searches do not work well. You can also turn off advertising, so you don’t see bad images. You can watch the first part of this video to remind you about adding with carrying. Stop when the teacher says to do the problems on your worksheet (around 5:40). When the ones add up to ten, you make them into a group of ten and add them to the tens. *You can do your worksheet for Day 8. Remember, if there is no number in the tens place, that’s just zero. You don’t have to add anything to the other tens. Check your answers. Read poem 23 out loud. Do you hear rhythm? Watch the video on syllables. Try it yourself. Click on load letter until the car has one syllable in it. Then click on next car. It will help you out when you aren’t quite right. Write a poem with the same rhythm as poem 23. The first line has 3 syllables. The other 3 lines have 4 syllables. You don’t have to rhyme the second and fourth lines, but if you do get a high five and/or hug. If you need a reminder how to do this, you can watch this presentation before you practice. *Then you can do your Day 9 worksheet. Check your answers. Choose three poems to read. *Print out the page of the month you are in. This is called an acrostic poem. Take the quiz. And again if you need to… And if you need it, here’s the lesson on the board and pieces. *Answer the addition word problems on the Day 10 worksheet. Check your answers. You can use the theme poem tool or come up with your own theme and shape. *Complete the Day 11 worksheet. Check your answers. If you can’t remember how to do this, you can watch this presentation. You are going to read poems by a different poet now, Sara Teasdale. Write two lines of a poem (you can use the top of your spelling worksheet if you’d like). Each line should have the same number of syllables. The last word in each line should rhyme. AND you should use at least one alliteration. Can you do all three of those things? Get a high five and a hug if you do all three. *Print and complete the Day 12 worksheet. Check your answers. If you want a reminder of how to do it, you can watch this presentation. Read poems 5, 6 and 7. Write a poem describing the month it is right now. You could use repeating words, alliteration, rhyme, or count syllables to create a rhythm. *Print this worksheet and subtract. Check your answers. Read poem 9. It is about the beginning of a day, dawn. Draw a picture of it. What picture does the poem make you see? Write a poem to describe it. You could use repeating words, alliteration, rhyme, or count syllables to create a rhythm. How do you subtract 34 -7? You can’t take 7 ones away from 4 ones. Watch this presentation to learn how to do it. *Complete this worksheet. Check your answers. Write two lines of poetry that rhyme. Try to write 8 syllables in each line. What do you remember? Try this quiz about the board. Learn how to move a rook. Take the quiz when you are done with the lesson. Watch the video on subtraction with borrowing. *Then complete this worksheet. Check your answers. Create a poem with magnetic poetry. Click “new poem” and then click “Word Bank”. Drag the words onto the board to create your poem. Write a color poem. Choose a color and write at least five lines following the example. You can use the top part of your spelling worksheet to write it if you’d like. * Complete the subtraction word problems. Check your answers. Write a bio-poem, a poem about yourself. Follow the directions for each line. Another tool is software that protects your computer from viruses and adware. A computer virus is a command that sneaks into your computer and tells it to do something you don’t want it to do, like erase everything on your computer! Adware sneaks advertisers info onto your computer. You probably have anti-virus software on your computer. A free program is called Avast. Your computer should block ads that are called “pop ups.” Sometimes you’ll see a note that says a “pop up” was prevented from opening. This was a website trying to force their advertisement on you. Sometimes worse. Most of the time you don’t want to see the pop up that was blocked, but sometimes you need that pop up for whatever you are doing. If you want to see the pop up that was blocked, go and ask a parent if it is okay. *Complete the word problem worksheet. Some are addition and some are subtraction. Check your answers. Make a list poem. If you want to make one about the grocery store like on the example page, here are some food ideas. Make it rhyme! Can you give it rhythm? Read it out loud to hear how it sounds. beef, lettuce leaf, apple, pineapple, chocolate bar, granola bar, popcorn, candy corn, etc. Choose something to write a poem about. It can be short like the example. Learn how to move a bishop. Take the quiz when you are done with the lesson. Do the adding “total less than 20” activity and the subtracting “numbers within 20” activities. Try both a few times and try to beat your speed. Click on “Enter the Mega Penny Project.” Click next to count to a million, a billion and more! Read the chickadee poem, which was written by a girl about age 11. You can write any poem today. Play level 1 Beginner and then play Expert. Expert means using as few coins as possible. Start with the largest coin. Can you use it without having too much? Once you have as many as you can use, go to the next largest coin. *Complete the worksheet for today to keep your skills sharp. Check your answers. Draw a picture of one of the other fables. Show your picture to someone and explain what happened in the story. *Complete the Counting Coins and Money Word Problems worksheet. Check your answers. Read the next ten stories. Copy all of the morals. Make sure that you always copy carefully to practice spelling and punctuation. Let’s see if you remember what you learned before. Open a new document in your word processing program. Type “I am ready to learn something new.” Change the color and size of the font. Save it as “New” in a folder with your name on it. Ask for help if you can’t remember any of those steps. Insert a picture and clip art into your document and save it. Then click on insert again and choose shapes if that is an option. Choose a shape. Try and “fill” it with a color. Ask for help if you need it. Save it again. Play level 2 Beginner and then play Expert. *Count by fives to complete the worksheet. Check the answers. “Necessity is the mother of invention.” This is another famous expression. Necessity means something that is needed. What does the expression mean? Write down one of the morals I wrote above. Put the words in alphabetical order. Choose 3rd grade. Sing the ABC song to yourself to help you place the blocks in the right order. Follow the directions and continue through the rounds. Play Count the Money. Drag the puzzle piece (the picture portion) onto the answer. *Complete the worksheet. Check the answers. Read the next ten stories. The last story is The Man and the Flea. Write a short story that would teach this lesson: look before you leap, that means to find out about something before jumping in to do it. Learn how a queen moves. Take the quiz when you are done with the lesson. Play level 3 Beginner and then play Expert. *Complete the worksheet. Check your answers. Read the next nine stories. What story do you recognize? Draw a picture to illustrate one of the stories. Show your picture to someone and explain it and the story. Add the costs of lunch. Play Cash Out. Click on NO for Show Change Amount. It will tell you how much the customer spent and how much money they gave you. It is the easy level, so they will give you $1.00. How do you know how much change to give? Count on from how much they spent. If they spent 63 cents, $0.63, then you would click on the penny to put two pennies on the counter and count 64, 65. Then you could put a dime on the counter and count 75. Then you could put a quarter on the counter and count 100 or $1.00. Check your amount by counting on from how much they spent. You can click on a coin to take it off the counter. Give the change when you are ready. Pick a book to read. Write three questions about the story. Make a sign on your computer, any kind of sign. You are going to complete a worksheet, but before you start, I want you to look at the first problem. You are going to subtract 20 from 100. We’re going to do it together. First you’ll subtract the ones straight down. Zero minus zero is zero. You can write zero in the answer spot under the zeros in the ones column. What’s left? Draw a box around the 10 left in 100. Write 8 in the tens spot in the answer. *Complete the worksheet. Each time draw a box around the ten in the problem. When you need to borrow more ones in order to subtract, you can cross off the ten and make it a nine. Then like normal you take those ten and move them into the ones column. Check your answers. Listen to and read the Story of Hanukkah. Listen to Stone Soup. If you’d like, you could read along. Tell the stories to someone. Put the words in alphabetical order. Complete both levels. Remember: If two words have the same first letter, then you need to look at the second letter in each word to compare them. If two words have the same first and second letter, then you need to compare their third letters, and so on and so on. *Use your worksheet and subtract the money, like you are making change. (You can ignore the decimal points. For example, the first one is 65 cents minus 21 cents. 65 – 21 = 44 That’s 44 cents. You write that as $0.44 . For all of your answers you will write $0. and then the answer to your subtraction problem. I already gave you the first answer, so you are already on your way! Check your answers when you are done. *Print page 2. Read The Catching Tree and answer the questions. Use the link to check your answers. See what you can remember. What words should be capitalized? Learn how to move a king. Take the quiz when you are done with the lesson. Estimating means making a good guess as to what the answer is. Rounding is one trick we use to figure out what a good guess would be. Use estimation to make a good guess as to which box has more. *Use this worksheet to compare. Check your answers. You can listen to this story as you read along if you like. However, the chapters are long, so we won’t be reading a whole chapter each day, but the recordings are of whole chapters. You would have to remember the time you left off and then let it load to the spot. Watch this video on rounding. Look at it on the number line. Click on go. Find 13. Is it closer to 10 or 20? That’s what rounding is. Which number is closer? If it is right in the middle, we round up to the higher number. 27 –> The number on the right is 5 or more, so the number on the left moves up one. Look at it on the number line. Click on go. Find 27. Is it closer to 20 or 30? 2 –> Is it closer to 0 or 10? Try rounding to the nearest ten. *Use the menu to answer the questions. Check your answers. 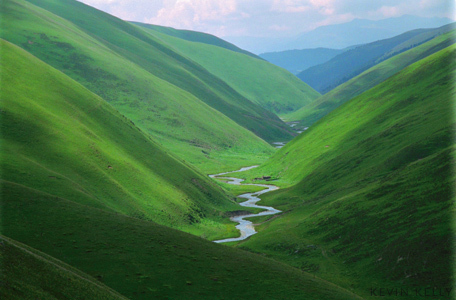 Here are two pictures to give you an idea of the setting of this book, where it takes place. Here is a picture of a cover of one version of Heidi. 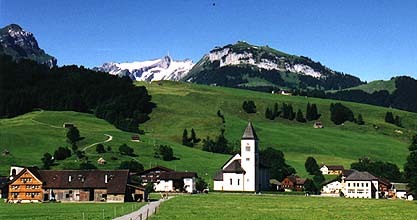 Here is a photograph of a small town at the foot of the Alps (those huge mountains). 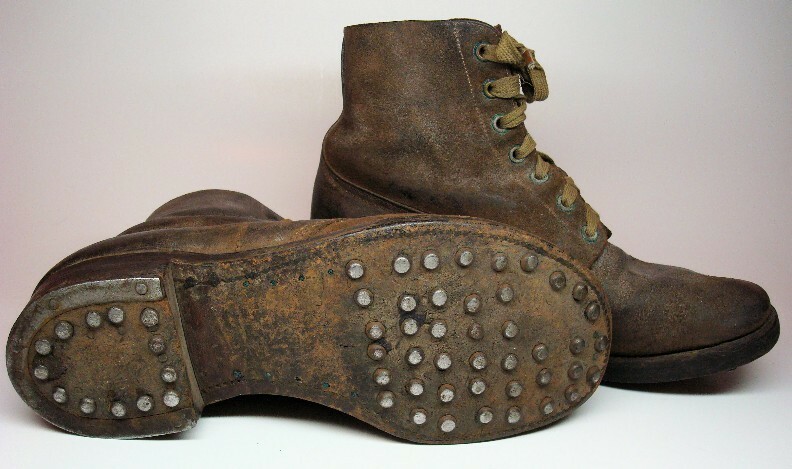 Here is a picture of old-fashioned hob-nailed boots. This book was written a long time ago. It looks to me like the nails were put into the shoes to help you not slip, like treads on your sneakers. Copy this sentence from the book: As he’s her grandfather, it is high time he should do something for the child. Scroll down and click on start. Round to the nearest ten. *Keep your skills sharp with this worksheet. Check your answers. What is a shepherd? If a shepherd, herds (or watches and keeps together) sheep, then what do you think a goatherd does? Heidi’s mother and father died when she was about a year old. Her aunt, Deta, has been taking care of her since. Heidi’s mother was Deta’s sister. Heidi’s father was Alm-Uncle’s son, so Heidi is his grandchild. Put the commas in the correct place. When you round to the nearest hundred, you do the same thing as with tens. Then we need to change the number on the left to one more. The 4 becomes a 5. 461 –> 500 Which is 461 closer to 400 or 500? Watch this video again, just for the first 32 seconds. Here is a sentence from the chapter. “How could you be so stupid, Heidi? Have you lost your senses?” the aunt went on, with a tone mingled with vexation and reproach. You probably don’t know what vexation and reproach are. That’s okay to not know some words. Her “tone” is how her voice sounded. From what she said to Heidi, can you imagine what her voice sounded like? I bet you can. You don’t always have to know the words to understand them. You know she sounds upset. If someone is vexed, they are frustrated and annoyed. They are upset. To reproach someone is to scold them. Basically she’s angry with Heidi, but you knew that, even if you didn’t know those two words. When you don’t know a word, don’t get stuck. Keep reading and the sentence will probably help explain what the word means. Write a conversation you would have with your grandfather if it was the first time you met him. What would you want to ask him? What would you want to tell him? See below to see how you should write it to show who is talking. Learn how to move a knight. Take the quiz when you are done. Round to the nearest 10 to steer the boat. I know you have to think fast. Give it a try. Round to the nearest 100 to steer the boat. Do your best. It keeps talking about the grandfather’s penetrating glance or look or eyes. Here’s the best penetrating look picture I could find. To penetrate something means to break through it. When grandfather looks at you, it’s like he can see right inside of you. Draw a picture of something from the setting of this chapter. Here are some examples: the outside of the hut and trees, the inside of the hut, the hayloft. Play this vocabulary game with words from Heidi. Do this lesson on telling time. Take this simple hour and half quiz to refresh your memory. Remember: the hour is the number the hand has already passed. Stay up late! Use your arrow keys to move under the time shown at the top LEFT. Push the spacebar to shine your flashlight at the right clock. Every time you get it right, your bed time gets later. Play the beginner level. Click on hour and then click the number of the hour. Click on minute and then click on the number the minute hand should be on. Remember: the minutes count by fives around the big numbers. The 1 is 5 minutes; the 2 is 10 minutes; the 3 is 15 minutes. 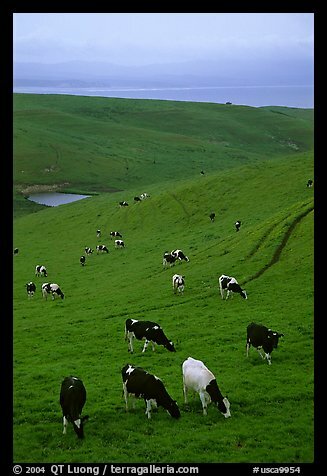 The title of the next chapter is “On the Pasture.” Do you know what a pasture is? Here is another picture. What do you think this chapter is going to be about? Answer before you read the chapter. You don’t have to be right about what’s going to happen, but you do have to think. Copy these sentences: The strong wind nearly blew her from her seat, so she hurried with her meal, to be able to go inside and up to her bed. She slept in it as well as a prince on his royal couch. Make sure you copy it exactly. Check when you are done. Level 3 Stage 8 Dance Mat Typing. Open your word processing program. You are going to add page numbers. See if you can find where your program says “Page Number.” You might need to click on “Insert” first. See if you can add a number 1 to your first page. You can decide where it should go. Here are some words from today’s reading that maybe you don’t know. Remember, you can click on the link and the speaker to hear how to pronounce it. Find the correct sentence. Look for proper capitalization and punctuation. There are other ways to say time. Describe the (pretend) day you spent on the mountain. What did you see? What did you smell? What happened? Read over what you wrote. This is always a good habit to have. When you read it, make sure every sentence starts with a capital letter and ends with a period, question mark or exclamation point. If any word seems spelled weird, ask about it or look it up. Fix any of your mistakes. Add your name and date to the paper and give it to a parent to add to your portfolio. Learn how to move the pawn. Take the quiz when you are done. Choose a level 2 game. We can also say how many minutes there are until the next hour. We say it like this, “Five to eight.” That means it is five minutes until eight. Make this clock say “five minutes to eight.” (Click Go to start.) When you found the right place, the clock will say 7:55. Remember: the hour is not eight yet. It’s still five minutes before the hour hand will reach the eight. Do you see that there are just five minutes until eight o’clock? When we talk about time until the hour, we count by fives backwards. At the 11 there are just five minutes until the hour. At the 10 there are ten minutes until the hour. Remember: It’s not nine o’clock yet. There are still ten minutes before the hour hand reaches the nine. If you got it wrong, fix the clock hands. *Print out the time and word cards from the worksheet. Cut them into rectangles. Place them face down. Find the matches. The next chapter is called “In Grandmother’s Hut.” What do you think is going to happen? Answer before you read! It’s okay to not be right about what’s going to happen, but it’s not okay to not think. Grandfather invites Peter to stay for dinner. The book says: With that he prepared a meal which amply satisfied Peter’s appetite. Do this vocabulary game to practice the words from this week. If you are needing to keep a portfolio, remember that you can take a screen shot of this or any game to print and add to it. *Complete the worksheet on adding with regrouping. Work neatly and give this to a parent when you are finished to add to your portfolio. Check the answers. We count by fives around the numbers on the clock because each little line is 1. Look at the little lines on this clock. They are blue blocks really. There are four and then when you count five you are at the big number. Count the minutes around the clock. You should count 60. What level can you do? Start at an early level and keep moving up. Match the clocks and times. *Complete the worksheet on subtracting with regrouping. Check your answers. Read the introduction and follow the directions to write possessives such as Mark’s car. You can stop once you’ve gotten five correct. Copy these sentences: She had gone to the housekeeper and told her all about Heidi. The lady, delighted with the idea, had told her to fetch the child at once. Copy them carefully. Check your capitalization, punctuation and spelling. If you have the program Power Point on your computer, open it up and have a look around. If you don’t, ask your parents about downloading “Presentation” from Open Office. *Complete the addition worksheet. Check your answers. obstinate — Deta called Heidi obstinate when she refused to come with her. What do you think obstinate might mean? infirm — It says the grandmother was old and infirm. What do you think infirm might mean? Correct the sentences. Make sure you click on go on at the bottom and keep going until you are finished. *Complete the subtraction worksheet. Check your answers. Stop and read over what you wrote. Fix any mistakes you notice. Today do understanding check and checkmate. Take the quiz when you are done. *Complete this Venn Diagram worksheet. A Venn Diagram shows where something belongs. If it matches the criteria of the oval, then it is inside of it. If it is in two ovals, then it meets the criteria of both. If it’s outside of both ovals, then it doesn’t meet the criteria of either of them. Check the answers. Play this vocabulary game for your new words. Read this page about numbers to 1000 and then click on the “More or Less” activity at the bottom and do it. loath – go to the link and click on the speaker — The definition is under “adjective.” An adjective is a word that describes. Make numbers. Now you are using thousands, hundreds, tens and ones. Make a big number. Do you see the thousands, hundreds, tens and ones? Do you see them all put together? Make different numbers. Play a level 2 game. 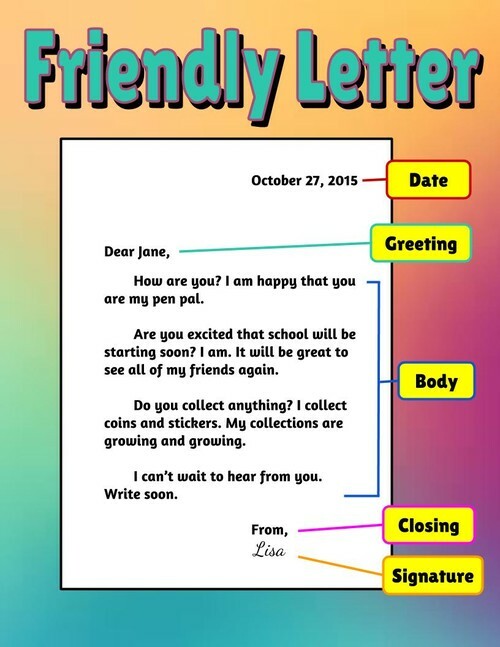 Read about the parts of a friendly letter. Look at a friendly letter. Open your PowerPoint from Day 42. Today click on layout. Choose one of the layouts–the different ways your page can look. Type something where it says to “add text.” Hit enter and add more typing. Hit enter and add more typing. If there are little icons in one of the boxes, find the one that lets you add a picture or clip art. Choose one and add a picture to your page. Save it in a folder with your name on it. Make at least three big numbers. Fix the mistakes in the sentences. Check your answers and click on Go On. Keep going until it says you were successful or that you need to try again. If it says try again, then do it again. Watch this addition video on adding hundreds. Add hundreds. Add 250 and 345. Make the first number and then click on the plus sign to add on the ones, tens, and hundreds of the second number. What’s the answer? Write the problem out on paper. Now add 361 and 297. What happens when you add the 9 to the 6 in the tens column? Write the problem out on paper. Try it again with 168 and 455. One more time. This time add 786 and 329. Here’s a reminder about how to write a friendly letter. Write a letter home from Heidi to her grandfather. Use the reminder to check your letter. Did you use the correct punctuation and capitalization? Here are two typical checkmates. (second one) Take the quizzes after each. xtramath – This is just for addition and subtraction. Stop when you get to multiplication. *Complete the worksheet on adding hundreds. Cut out the blocks on pages 2 and 3 and use them to find the answers to the problems on page 1. Make sure you check your answers and understand your mistakes. I’m going to tell you two of the answers. hundreds 8 + 3 = 11 That’s 1 in the hundreds spot and 1 in thousands spot. thousands There are no other thousands to add, so there is only 1 thousand. hundreds 9+1 = 10 That’s 0 in the hundreds spot. Carry the one to the thousands. thousands 0+0+1 = 1 There were no thousands in either number and then the one we carried over. Copy the first sentence from the chapter. “Write” words by combining prefixes and suffixes to root words. Prefixes are added to the beginning of a word to change their meaning, like adding UN in front of believable. A suffix is added to the end of a word, like adding EST to great. *Complete this worksheet on adding hundreds. Check your answers. Redo any problem you got wrong. Who do you think is the “ghost”? “Write” words by combining each root with one of the prefixes. How does the meaning of the word change when you add a prefix? Round to the nearest hundred. You always need to pay attention to what you are supposed to round to. *Complete the worksheet. Check your answers and redo anything you got wrong. Make sure you understand. These worksheets are a lot easier if you know all of your math facts! 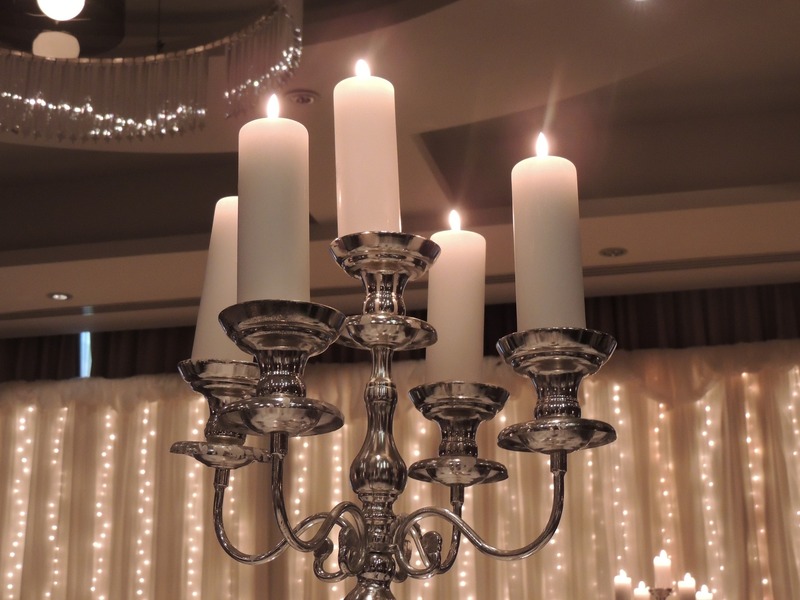 Here is a picture of a candelabrum. Write a letter to your grand parents, or a missionary, or anyone else. 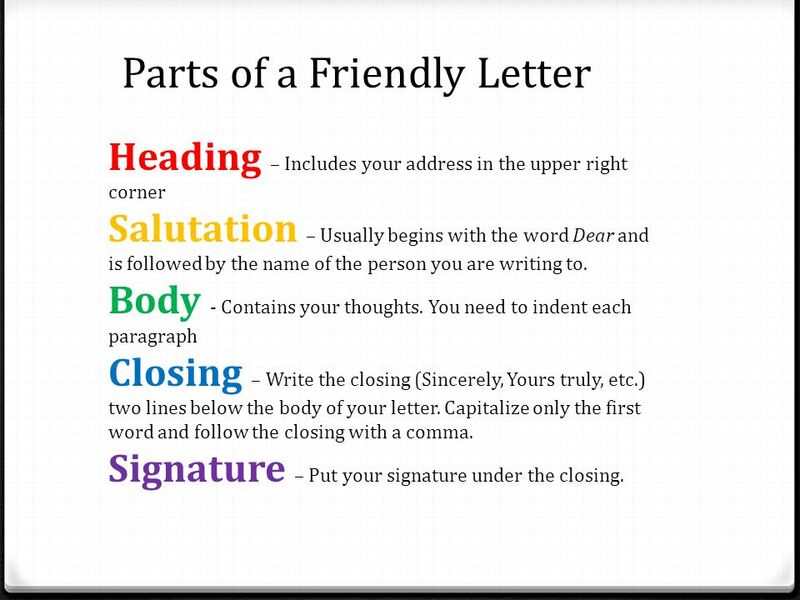 Here’s a reminder about how to write a friendly letter. Click on each section for a reminder of what you are supposed to do. Check over your work. Get in the habit of always checking over what you write. Open up your power point presentation from last week. Click to add a new slide. Add a bunch of new slides until you have used each of the different layouts. Watch this presentation on estimating sums with rounding. At any time you can pause it or go back. *Follow the directions to add and estimate. Check your answers. Make sure you understand your mistakes. What do you think it is going to be like when Heidi gets home? Do you think everything will be the same? Do you think something will have changed? What? What do you think will be grandfather’s reaction? Watch this presentation on estimating differences with rounding. Write a letter to the publishers of Heidi. Tell them what you think of the story. Are you glad that they published it (made it into a book)? Was it a good idea or a bad idea to publish it? What’s your favorite thing about the book so far? Is there anything you would change about it? What do you think should happen in the end of the book? You will use this business letter writing tool to write the letter. The business is Grosset & Dunlap Publishers. Their address is 345 Hudson Street 10th Floor, New York NY 10014 USA. Understanding Stalemate Take the quiz after the lesson. Try this game to test your understanding. Try estimating golf. Play putt level. Play lots of rounds. Play Bang on Time. Can you make the hand go faster? If you don’t know the story, you can read it, or maybe watch it. There is a reason the author chose the story of the prodigal son. Which of the characters in Heidi do you think might be like the prodigal son? Read about the rules of quotation marks. Scroll down the page and read everything. The answer to which sentence is correct is (number one). You can skip over the web links, but watch the video. Now you can choose the correct sentences. Which use quotation marks and commas correctly? Think of a friend or relative that you could visit. Write a packing list. What would you need to bring (would it be cold or warm)? What would your bring as gifts? Write at least ten things on your list. Open your power point presentation. Find “Design.” Click on it. Choose different designs. Click on different designs and choose one for your presentation. Type in the boxes the words that the contraction stands for. If you are stuck, say it in a sentence both ways to try to figure it out. Play Genius Boxing. This gets harder with each level. Play as long as you can. Are you grateful for being warm and fed? Did you read it over? Castling Take the quiz after the lesson. Play Shape Invaders. Use the space bar to blast every shape that’s not written at the top of the screen. When the first round is finished, if there is no “next” button to get to the next round, try clicking above the shapes that show how many lives you have left. Try Buffalo Math. This is hard because it goes fast. Relax and do your best. The next chapter is called retaliation. Retaliation means getting back at someone. In the first paragraph you will read the word monosyllables. Do you see the word syllable in there? Do you remember what a syllable is? (Look again at Day 6 if you forget.) Mono means one. It says that Peter was giving monosyllables for answers. He was answering the doctor with words with only one syllable. Basically he was giving short replies, yes, no…and nothing more. In this chapter you will read luminous and radiant. They are synonyms, words with similar meaning. They mean lit up, shining, bright. Synonyms are words of similar meaning. Antonyms are words of opposite meaning. Synonym and antonyms Do both synonyms and antonyms. Watch this video on subtracting hundreds. Do five subtraction problems with hundreds. Do the problem and find the answer. Use the abacus to check the answer. Use the minus sign to subtract off the number of ones, tens, and hundreds. Fix your mistakes. Make sure you understand what you got wrong. Add pictures, word art, and shapes to your slides. Do you remember nouns and verbs? Nouns are people, places or things. Verbs tell of action or being. Play level one and sort the nouns and verbs. Find the nouns and verbs. Choose nouns and verbs. Time to write another letter. Write a letter to your grandparents, or a missionary, or anyone else. Pawn Promotion Take the quiz after you are done the lesson. Add ones, tens, or hundreds. After three balloons rise, click anywhere on the screen to get the next round. Round to the nearest hundred. If it won’t let you choose numbers, just click on play. Click on answer to check. Then click on next. Write these two problems. Solve them regular to find the exact answer. Then round to find the estimated answer. 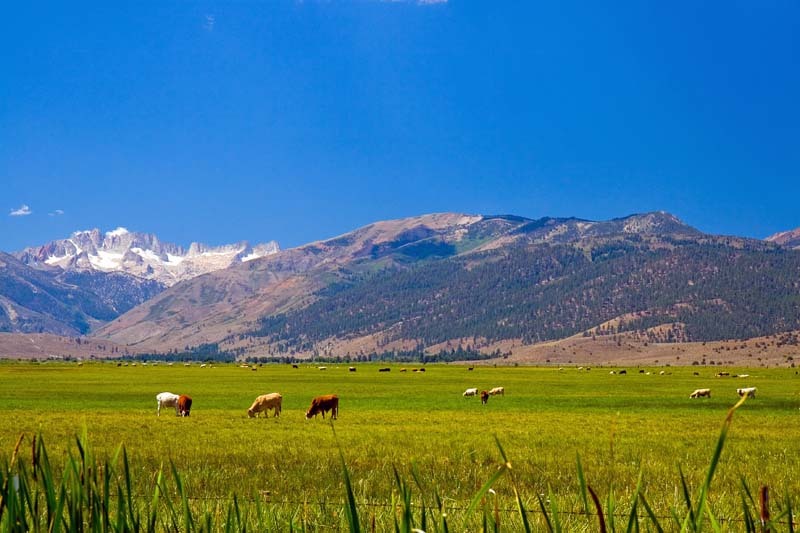 At the beginning of the chapter Alm-uncle is looking at the “mountain and dale.” The dale is the valley, the low parts between the mountains. In the beginning of the chapter Peter’s sin, his anger, is going to get the best of him and cause him to do something bad. Then it says that his “conscience smote him.” Your conscience is the thought you have inside of you that something is right or wrong. After he does it, his conscience is telling him that he did something really bad. Write three sentences. The first needs to have AND, the second BUT, the third OR. You will write a sentence, then write a comma and your WORD, and then you will write another sentence. Do you remember how to combine sentences? Here are examples. I am going home, and I will call you when I get there. Please come inside, but please wipe your muddy feet first. Do you want to play, or do you want to rest? The green shows the two sentences. The red is the comma and conjunction–the connecting word. Make sure the words on either side make a sentence. Add a sound. Try and add a sound from the clip art if it is available for you. Add a recorded sound. You might need to click on sound and record sound. After you record a sound it will show up on your slide as a little speaker. If you click on your speaker, you should be able to hear it. You are going there tomorrow. The green is the helping verb. The red is the main verb. *Print page 1 and choose which helping verb should fill in the blank. You can check your answers on page 2. Write three more sentences. The first needs to have AND, the second BUT, the third OR. You will write a sentence, then write a comma and your WORD, and then you will write another sentence. Here are examples. Make sure the words on either side of the conjunction make a sentence. En Passant Take the quiz after you finish the lesson. Have you ever had the “little watchman” in heart make you feel bad and fearful about what you have done wrong? The “to be” helping verbs are the most common, but there can be others. Here’s another list. Just read through the words at the top of the page. They have them lined up by the first letter of the word. *Play charades. Print out the charades vocabulary list. Choose a word and act it out. Everyone else needs to guess which word you are acting out. Everyone who is playing should be able to see this list to choose words and to help them guess. Read this lesson on polygons. Draw four different types of polygons. Write how many sides and how many angles each have. *Fill out a book report worksheet. *Print page 1 of this spelling worksheet. Follow the directions and fill in the blanks. You can check your answers on page 2. Read this lesson on congruent shapes. Answer the questions. Read this lesson on symmetry. Answer the questions. Read about Forms of Matter and answer the questions. Print page 1 of the reading comprehension. You can use the right arrow key to change to the next slide. Read this lesson congruent polygons. Do this symmetry activity. Where the picture ends is the line of symmetry. Click on one of the aliens moving across the screen. Build the other half of the shape so that the shape is symmetric. *Read about Evaluating in Math and answer the questions. Print page 1 of the reading comprehension. Read this lesson on perimeter, the measure around an object. Count up the perimeter of the objects. 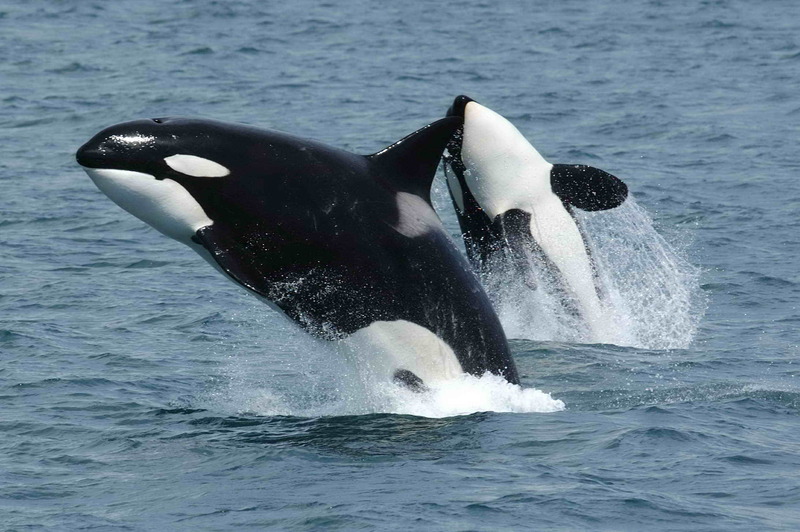 *Read about Waves and Currents and answer the questions. Print page 1 of the reading comprehension. Other Ways to Draw Take the quiz when you are done the lesson. Try another game to test your understanding. xtramath – This is just for addition and subtraction. Stop at multiplication. Read this lesson on perimeter. Can you match the geometry vocabulary with their meanings? *Read about Elements and Atoms and answer the questions. Print page 1 of the reading comprehension. Find the synonyms, words that mean something similar. Find the antonyms, words that mean the opposite. Make numbers. Select the middle option under “numbers” (Th H T U). Make the number shown at the top of the page by selecting the correct number of thousands, hundreds, tens and units. Watch this presentation on rounding with numbers in the thousands. Your new book is called, The Bears of Blue River. Find it on this map. Now round to the nearest hundred with the sharks. Play a level 2 subtraction game. Write a story about the time you were less than an inch tall. Use adjectives to describe what things looked like when you were teeny, tiny. How did you get small? What did you do? What was it like? Click on a slide. Then click on an animation. Do it for each slide. Now try estimation. Round and then estimate the sum. To estimate means to make an educated guess. Rounding gives you the knowledge to make a good guess that is close to the actual answer. Play a level 2 addition game. In the beginning of the chapter it mentions the phrase “Anno Domini.” That’s what AD comes from, as in BC and AD. BC is how we count time on the calendar before Christ was born. AD is how we label years on the calendar after Jesus was born. Something happened that divided history. Everything else happened either before or after it. That’s what it means in this chapter. *Print out page 1 of this adjective worksheet. Choose the best adjective from the choices (all choices are adjectives). You can check your answers on page 2. Play Home Run Derby. Choose addition. Round, add, type in your estimation, click on HIT. Then click on Next at Bat. Write about your day out hunting. Or, write about being in the woods and all the things you see, hear, smell, feel and taste. Make sure your name and date are on your page and give your story to a parent to add to your portfolio. Print out this worksheet to practice the names of the squares. Use this page to help you. Play Putt Golf. Then play Junior Golf. Find the synonyms, words that have similar meanings. Find the antonyms, words that mean the opposite. You can take a screen shot to print and add to your portfolio. Check your answers. Fix any mistakes. Indistinct means not distinct, not clear, unclear. What do you think has happened to Liney? Why isn’t she answer? What do you think is going to happen? *Subtract and estimate. Work neatly and give this to a parent when you are finished to add to your portfolio. Write directions for how to do something. Anything that you know how to do: how to tie your shoe, how to ride a bike, how to make hot chocolate, anything. Make sure you include every step. Start with a sentence that tells what you are going to give instructions for. Then write your steps. Write first…second…third…last…before each step. When you are done, ask someone to follow your instructions EXACTLY. Did they do it correctly or did you miss something in your instructions? Click on a slide with several lines of typing. Highlight one of the lines of typing. Highlight another line of typing. Do the same. Repeat for each line of typing on that slide. View your slide show. Use the right arrow key to make the words and new slides appear. *Add and estimate. Check your answers. It mentions “patron saint.” There are branches of Christianity which call certain dead Christians saints and believe that they are particularly watching over certain people, like hunters in this story. The Bible, however, calls all believers saints. It does say that we have a “great cloud of witnesses” formed of those of faith who have gone before us. It’s like we have a crowd cheering for us in heaven as we follow Jesus. But the Bible says that God, Himself, is the only One who can help us. He may use angels or other people, but He is the one directing the rescue. The author keeps giving hints about what is to come. It’s called foreshadowing. He leaves a hint that Tom is going to need (and use) his hatchet. What do you think he will do? *Print out and complete page 1 of this adjective worksheet. You need to rewrite the sentences with the adjective that means the opposite. You can check your answers on page 2. *Subtract and estimate. Check your answers. Write about something important you have learned. Tell how you learned it and why it has been an important lesson to you. The Value of the Pieces Take the quiz after you finish the lesson. Try the hit or miss game. A fortnight is two weeks. Choose a level 2 vocabulary activity. Figure out the matching words and definitions. Was it easy or hard? Elapsed time is how much time has passed. From the time my 1 year old wakes up in the morning at 8:30 to the time he takes his nap at 1:00, 4 and a half hours have elapsed, gone by. Read the directions. This is a simple activity, but you need to know how to use it. Make the clock that says “current” be at the same time as the “end” clock. Make time pass by clicking on the time buttons at the bottom, like “1 hour.” If you click on 1 hour, the “current” clock will move ahead 1 hour. It will read that 1 hour has elapsed, or passed. Keep clicking the time buttons until the current and end clocks match. Pay attention to how much time has passed, or elapsed, to get from the first clock’s time to the last clock’s time. Then change it to level 2. Then do level 3. Play at least 4 levels of Addition Attack. A wolf’s den is underground. Make the correct amount of time pass, or elapse. Click on the button next to “Advance by.” It will count the hours as the clock advances. You want to make the current time match the end time. When you get to the end time, then you know how much time has gone by from the start time to the end time. Then you can click on the circle next to “Guess.” You can now say how many hours have passed from the start to the end time. At the end you can click on Show Score. A shilling is a coin. Look at this picture and read the description and question. Answer the question, and while you do, use lots of adjectives! Add more animations to your other slides. How much time has elapsed, gone by? You can do basic and then try a harder level if you like. They use a gourd as a cup. You’ll read about them using gourds other times as well. Some types of gourds are pumpkins and squash. The insides can be eaten and people use the outsides for different things, like a jack-o-lantern. Below are some gourd pictures. You can click on it to see it bigger. *Print out page 1 and complete this adjective worksheet. You will rewrite the sentences with synonyms (words that have something similar). You can check your answers on page 2. *Complete this worksheet. Find the elapsed time. Count by fives around the clock and pay attention to how much the hour hand moved. Check your answers. Subtract as many numbers as you can in two minutes. Use the tab button to move to the next question. 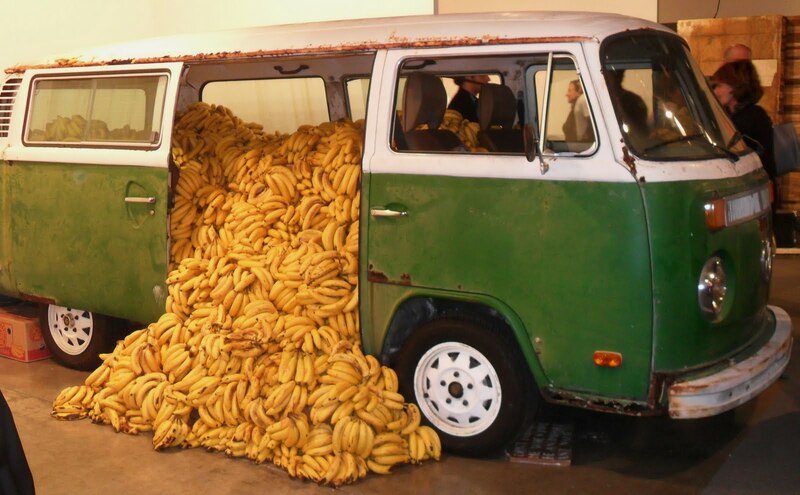 Look at this picture of bananas! What do you think happened in this picture? Write your story. Do this lesson on attack, defense, and threat and take the quiz. Read the charts to answer the time questions. Do all 15 addition and subtraction word problems. Read one more review lesson. Subtract and make the picture. People have come up with lots of stories about the fire bear and had superstitions about him. They were just stories though. Make sure you start with explaining what you are going to give directions for. Include how to play, rules of the game and how to win. You could also include tips and variations, ways you could change the game. Let’s make a new presentation. Open your program and start a blank presentation. Make a title slide. Choose a design and color scheme. A shoat is a young pig. A spoor is the scent or track of an animal, it’s what you follow on a hunt. The rest of chapter 7 is about Balser wanting a good luck charm. We know there is no such thing as luck. God is in control. Liney held an object and prayed over it for days that God would use it to protect Balser. Now she feels guilty that it wasn’t the right thing to do. An object of course can’t help him. God can help him and prayers can help him. But it did make Balser feel more confident to hold it because he trusted so much in Liney’s prayers. Print out this worksheet, describe with adjectives, and follow the directions. Did you know that numbers are adjectives when they describe something like “one ball”? Do the subtraction problems. At the top of the yellow box you have to click on subtraction. Do the lesson and quiz on exchanging. Do you remember your geometry vocabulary? How much time has elapsed? Choose Quarter. Use the arrows to say how much time has passed from the time on the clock on the left to the time on the clock on the right. ? Boreas is what the author is calling the wind. Boreas is the name of the greek’s god of the North wind. Do the 2nd level vocabulary review game. Find equivalent fractions, fractions that are the same amount. The picture shows the fraction. Click the right arrow to add pieces to the blank line. Keep clicking until the new green lines line up with the red lines of the first fraction. The number of pieces on the bottom of the new fraction is the denominator. The number of red pieces on the top of the new fraction is the numerator. The two fractions are equivalent. If those were pizza slices, and you ate either amount shown by the fractions, you would be eating the same amount of pizza. The one number is more pieces, but the pieces are smaller. 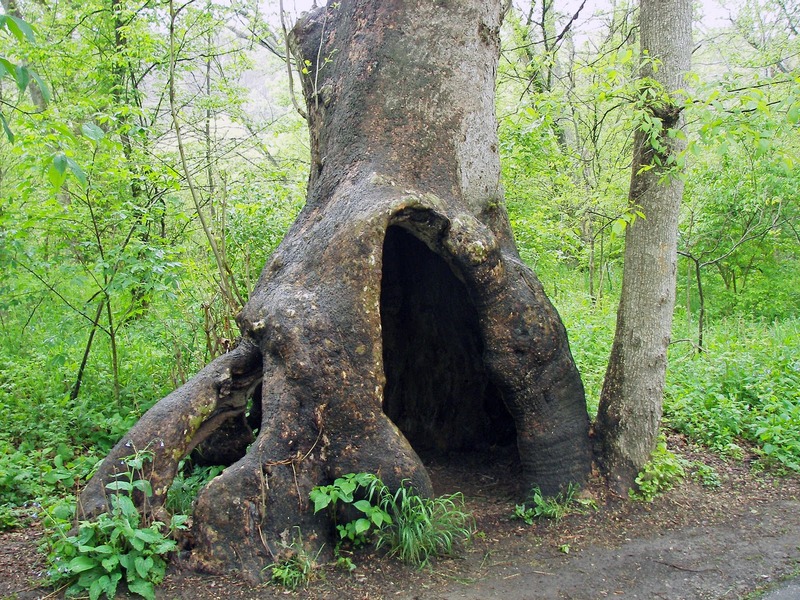 Here is a picture of a hollow sycamore tree. Make a list of three types of people or animals (dog, superman, writer). One of these will be your character. Make a list of three places (beach, moon, grocery store). One of these will be your setting, where your story takes place. Now write three problems (lost his shoe, allergic to his best friend, has gum stuck in his hair). One of these will become your plot, what your story is about. Choose one from each list and write a short story using those story elements: the character, the setting and the plot. Hold onto your list. Open up your new presentation. Today make a slide with lots of pictures on it. Even if your template just has one place for pictures, it will let you add in more. Add in lots of clip art and photographs. Click and drag the corners of the pictures to make them smaller to fit more. Here are some places you can get clip art. Try to find the equivalent fractions, the two pictures that look like the same amount of red. Do five problems of adding hundreds. Choose addition, five problems, two rows, and three digits in each row. *Print out page 1 of this worksheet and follow the directions. You are going to find the adjectives and the nouns they describe. You can check your answers on page 2. Use your lists from Day 97. You can make new ones if you want. Choose one from each list and write a short story using those story elements: the character, the setting and the plot. Do this lesson and quiz on capturing pawns. xtramath You should be finished with addition and subtraction by now! This is your last week. Do extra sessions this week if you still aren’t finished. Play the math vocab game. *Fill out this book report worksheet. Compare fractions. Which one is bigger? Which is smaller? The fraction with the most red is the larger fraction. Add double digits. Leave the settings as they are except the bottom two. Change them from four digits to two digits by clicking on the number 2s. Print out and complete this reading comprehension worksheet. Compare the fractions. The fraction filling in the circle with the least amount of red is the smallest fraction. You are going to do a different type of writing assignment today. You are going to read a paragraph from a story. Then you are going to decide what it’s about. How would you tell someone what the story was about? Then you’re going to pick out some details from the story that show what it’s about. For example, if the story was about how cold Antarctica is, then some details that show that might be about what the average temperature is in Antarctica and what types of plants are able to live there. Those things would show some details about the story’s main idea that it’s really cold in Antarctica. Make a new slide. It should have a title. Add words that come up when you click on the arrow (custom animation). Add at least one picture. *Print out page 1 of this adjective worksheet and follow the directions. Find the adjectives and the nouns they describe. You can check your answers on page 2. Play by making different fractions. The fraction that is bigger has the most pizza or chocolate, or whatever you are playing with. Make sure to try it with the bottom numbers (denominators) being the same. Which fraction is smaller then? It’s the one with the smallest number on top. (The top number is called the numerator). Take some shots. There’s a button to click on if you are using a tablet. Then try these rounding problems. Write a postcard. Where are you writing from? Home, the moon,…? Basic Opening Principles Do the lesson and quiz. Learn about looking ahead and take the quiz. Play estimation golf. Play all three levels. On the pro level, it may give you a multiplication problem. You can just type in any crazy answer for those. 🙂 I want you to keep playing to practice the four digit addition and subtraction estimation problems. Match the base word to its prefix or suffix. How does the prefix and suffix change the meaning of the word? You don’t need to know the names of all of those properties, but it’s good to know these things. Read below. Multiplication is adding over and over again. 5 times 2 is 5 + 5, 5 times 3 is 5 + 5 + 5, 5 times 4 is 5 + 5 + 5 + 5, That’s like counting by fives 4 times. Anything zero times is zero. A million times zero is zero. If I gave you a million dollars zero times, you would have zero dollars. Anything one time is itself. 8 times 1 is 8. If I give you eight pieces of candy one time, you would have eight pieces of candy. Learn that any number times zero is zero. Learn that any number times one is itself. We’re not going to start a new book yet. We’re going to learn more about reading non-fiction, books that give us information. What do you include in a summary? Summaries include the main idea and some supporting details. *Try to write your own summary. xtramath This is only if you still need it for addition and subtraction. *Complete the multiplication worksheet. You will make little pictures of the problem. Check your answers. Do numbers 1 and 3 along the top, “learn with pictures” and “understand the basics.” If you want to do more, you can use the other tabs too. Complete the lesson on supporting details. Make sure you click on the Let’s Practice link. *Practice writing a story summary. Follow the directions. Add animation to the slides so that when you turn the page it comes up in a fancy way. Watch this video about multiplying by 6. Draw a picture of the 3 groups of 6 balloons. How many balloons? Write 3 x 6 = the answer on your paper. Do another picture of six cartons of six eggs in each carton. Write the equation with the answer on the paper. *Complete the multiplication tricks worksheet. Check your answers. xtramath – I’m not going to keep writing it each day, but this is just for addition and subtraction if you still need it. *Do this multiplication worksheet. Circle each group of little stars. Use those pictures of groups to find the answers. Check your answers. Do the money matching game. The Two Rooks Checkmate – Do the lesson and quiz. Now, if you like, you can try it by signing up at Chesskid.com. If you want to practice chess against other kids, this is a good place to do it. Then take the quick quiz. *Do this Multiplying by 5 worksheet. Check your answers. *Do some cake baking! You’ll need scissors and tape or glue. Read the story, Grilled Cheese Please. Write a summary of the story. Write the main idea and a couple of supporting details. Make sure you tell his problem and how it was solved. Answer the questions about the story. Play a game to review. Remember: multiplying by two is just doubling the number. 4 times 2 is the same as 4 plus 4. *Divide by 2. Check your answers. Fill in the blanks with words from the story. Watch this video on dividing into groups. When we multiplied, we took the groups and added them all together. Now we do the opposite. Multiplication and division are opposites like addition and subtraction are opposites. We are going to take the total and divide it into groups. If I had 4 pieces of paper and I wanted them in 1 group, how many pieces of paper would be in that group? Four. If you don’t believe me, take four pieces of paper and put them in one pile, one group. There are 4. If you had 0 pieces of candy and put that candy into 5 groups, how much candy would be in each group? ZERO! There is no candy. *Complete the worksheet on dividing with 0 and 1. Check your answers. Find the perimeter. The perimeter is the measure around. Opposite sides are the same length. *Practice with the main idea and details. The answers are on page 2. Try a rooks and pawns game. Do the quick quiz. Whatever you got wrong, go find the right answer by clicking on the problem. If you didn’t get any wrong, go and get a high five and/or a hug. Click on each shape to see the lines of symmetry. Then click on the number 2 tab and answer the questions. Complete the vocabulary matching activity with words from the story. Did you notice that I want you to play the game? Our next lesson is on decimals. It’s a way of writing numbers. You’ve seen decimals before. $4.25 is 4 dollars and 25 cents. That dot is called a decimal point. It tells us that the number that comes after it are parts of 1. It’s not 425 dollars. There are only 4 dollars. Then there are 25 parts of a dollar. How many cents are in a dollar? (answer: 100) The decimal point tells us that 25 means cents, or parts of a dollar. Watch this video on decimals tenths and this one on money as decimals. You are going to start reading a new book today, Five Little Peppers and How They Grew. Pepper is the last name of the family. The five little Peppers are the five children of the Pepper family. They call their mother Mamsie. Their father has died. They are very poor. Their mother works very hard to provide for them and has taught her children to be hard workers and to value being together. When the mother says that she is rich, it’s because she has her children with her. Today read the first chapter of the book. You can listen to it read to you while you read along in the book. What decimal is shown? How many blocks out of 100? The grandmother in this chapter sounds funny when she talks, so the words she says are spelled funny. “Maybe ’tis there.” That is maybe it is there. The apostrophe (‘) let’s you know something is missing. Here’s another. “So’s to have ‘em safe” means “so is to have them safe.” The word “ain’t” means isn’t, but it’s not a proper word. Go through the lesson on the main idea. Save it when you are done. View your show again. It should play like a movie. You can try again if you don’t like how it came out. *Write money as decimals. You will write a dollar sign, then the number of dollars, then a decimal point, then the number of cents. Check your answers. Read the rest of chapter 2. If you like, you can listen to it read to you while you read along in the book and find the right starting place. Tell someone a summary of the chapter. *Find the adjectives and the nouns they modify (describe). Work neatly and give this to a parent when you are done to place in your portfolio. You can check your answers on page 2. *Add the decimals. Read the directions! Look at the example! Check your answers. Read chapter 3. If you like, you can listen to it read to you while you read along in the book. Write a summary of the chapter. Include a main idea sentence and a couple supporting details. Do the lesson and quiz on capturing. Scholar’s Mate Scholar’s Mate 2 Do the two lessons. *Subtract decimals. Read the directions! “When our ship comes in” is an expression that means when we are rich. Play this vocabulary matching game with words from your book. Do this lesson on adding money as decimals. Play the sand dollar fraction game. Measles are a skin disease that makes red spots all over your body. Finish chapter 4. If you like, you can listen to it read to you while you read along in the book and find the right starting place. *Print out and complete this comparative adjectives worksheet. You can include this in your portfolio. The answers are on page 2. Adjectives that are used to compare two things are called comparative adjectives. There are a few guidelines for changing an adjective into a comparative adjective.If the adjective has one syllable, simply add –er to the end to make it comparative. If the word is a consonant-vowel-consonant word, you need to double the ending consonant before adding –er. If the word ends in e, simply add –r. If the adjective ends in y, change the y to an i before adding –er. For many adjectives with more than one syllable, simply add “more” to the regular adjective to make the comparative form. And of course, there are many words that just don’t follow a rule. *Add up your money by adding decimals. Adding money is just adding decimals, but make sure you use a dollar sign. Check your answers. Tell someone what is happening in this chapter. Let’s go back to learning about the internet for a moment today. Learn how to make a bookmark on your browser. A bookmark remembers a webpage for you and are usually found along the top of your screen. This is how I do it. I click on the little picture next to the web address and drag it onto the bookmarks bar. Then I right click on it and choose edit. The I delete all of the words. That leaves me with just the picture on my bookmarks bar so I can fit lots of them. *Do the money word problems. Work neatly and give this to a parent when you are finished to add to your portfolio. Check your answers. Finish reading chapter 5. If you like, you can listen to it read to you while you read along in the book and find the right starting place. *Print out and complete this worksheet on superlative adjectives. You can check your answers on page 2. Adjectives that are used to show the highest or lowest ranking among things are called superlative adjectives. There are a few guidelines for changing an adjective into a superlative adjective. If the adjective has one syllable, simply add –est to the end to make it superlative. If the word is a consonant-vowel-consonant word, you need to double the ending consonant before adding –est. If the word ends in e, simply add –st. If the adjective ends in y, change the y to an i before adding –est. regular adjective to make the comparative form. *Do this worksheet. You are going to add and subtract dollars. Make sure you pay attention each time to see if it’s addition or subtraction. Check your answers. Tell someone what is happening in this chapter so far. Can you choose the main idea? Click on “Submit answer” after you choose to see if you are correct. Do this lesson and quiz on attacks. Finish reading chapter 6. If you like, you can listen to it read to you while you read along in the book and find the right starting place. Write a summary of this chapter. If you can, write your summaries in one sentence. You’ll have to use words like AND or BUT. If you write your summary in one sentence, get a high five and/or hug. Read chapter 7. If you like, you can listen to it read to you while you read along in the book. Write a summary of the chapter. If you can, write your summaries in one sentence. You’ll have to use words like AND or BUT. If you write your summary in one sentence, get a high five and/or hug. *Write the right form of the adjective, comparative or superlative. You can check your answers on page 2. Read chapter 8. If you like, you can listen to it read to you while you read along in the book. Write a summary of the chapter. If you write your summary in one sentence, get a high five and/or hug. I want you to look at what it means to indent. Look at a book. Really, go get a book and open it up to look at it. Each block of writing is a paragraph. Each paragraph starts a new line with the first word moved over a little. That’s called indenting. It shows you where a new paragraph begins. *Print out this hamburger and write a main idea sentence about your topic. Write two detail sentences. Hold onto this paper. Example: My neighborhood is full of interesting sights and sounds. From my window I can see onto the other roofs and can watch people eat, sleep and play on them. I hear the “eskici” call out asking for people’s old metal. My paragraph is about how my neighborhood is interesting. Then I tell two details about what makes it interesting. Your paragraph might be about how soccer is your favorite sport. Then you would give reasons why it is your favorite sport. Those are the details. View the history on your internet browser. See if you can find “history.” It is a list of all of the websites that were visited on that browser. If you want to find a site you were on before and don’t know what it was, you can look in the history to try and find it. *Subtract the money. Check your answers. *What is being compared? Print and complete this adjective worksheet. You can check your answers on page 2. Finish reading chapter 9. If you like, you can listen to it read to you while you read along in the book and find the right starting place. Fill in the rest of your hamburger. You’ll need one more detail and a conclusion. Your conclusion is your ending. Make sure you mention your main topic. Here’s my example about how my neighborhood is interesting. My neighborhood is full of interesting sights and sounds. From my window I can see onto the other roofs and can watch people eat, sleep and play on them. I hear the “eskici” call out asking for people’s old metal. The children play soccer in the street between passing cars. These are just some of the things that make my neighborhood interesting. Learn about forks and take the quiz. Learn about the fatal diagonal. *Follow the directions and complete the estimation worksheet. Check your answers. Read chapter 10. If you like, you can listen to it read to you while you read along in the book. In your reading find three words you don’t know and write them in your dictionary. Write the word and what it means. You can go to WordSmyth to look them up. (Put the word in the “Word Explorer” search box on the left side of the page.) . Choose words that fit in your dictionary. Try not to choose words that all start with the same letter! *Complete the worksheet page. If you have one red and one blue crayon or colored pencils, get them out. Check your answers. Read chapter 11. If you like, you can listen to it read to you while you read along in the book. Write your paragraph by hand. Indent your first word (move it over a little like in a book) and copy your sentences from your hamburger. Write each sentence right after each other. DON’T start each sentence on a new line. Make sure your name and date is on the paper and give it to a parent to place in your portfolio. Tell someone what is happening in the chapter so far. Watch the video about writing a sentence. Follow the directions and pause and write your sentence when it tells you to. Write a great sentence. If you want a starting sentence, use this one. The dog ate. Ask yourself how you can be more specific with your nouns and verbs. What details and interesting words can you add? You are finished your computer lessons for the year. I’m going to give you some brain teasers to do each week. You can also get some chess practice if you like. If you don’t have an account here, you’ll need one. Read the next part of chapter 12. If you like, you can listen to it read to you while you read along in the book and find the right starting place. Read these sentences and spot the difference between the simple and compound sentences. A compound sentence uses a comma and a conjunction (words like: and, but, or, so). Write two complete sentences. Then turn them into a compound sentence, one that takes two sentences and combines them with a comma and a conjunction (and, but, or). Finish reading chapter 12. If you like, you can listen to it read to you while you read along in the book and find the right starting place. *Fill in a hamburger for a paragraph summary of the chapter. What’s the topic, main idea of this chapter? Is it about them making new friends? You will have a topic sentence (main idea sentence), three supporting detail sentences and a closing sentence about the topic. Can you use at least one compound sentence. Get a high five and/or hug if you do. Learn about making decisions and take the quiz. Every time you jump that’s the answer to a multiplication problem. Three, one time, is three. Three, two times, is six, the next island you jump to. Read chapter 13. If you like, you can listen to it read to you while you read along in the book. In your reading find three words you don’t know and write them in your dictionary. Write the word and what it means. You can go to WordSmyth to look them up. (Put the word in the “Word Explorer” search box on the left side of the page.) Choose words that fit in your dictionary. Try not to choose words that all start with the same letter! *Complete the worksheet for today. Check your answers. Here is a map of US highways to use for the last part of your worksheet. Finish reading chapter 14. If you like, you can listen to it read to you while you read along in the book and find the right starting place. Use your hamburger from Day 134 and put your sentences together. Write your paragraph. Click Play. Go to the subtraction page. Click Next and again. Click on Skip until the top number has a zero in it. Make sure it is a problem where you need to borrow from the place where there is a zero. Do you remember what you did when there was a zero on top? If there is nothing there to borrow, you have to go to the next column and borrow. Try the problem out. *Keep your skills sharp and complete the worksheet. Check your answers. Count by 5s this time. Finish chapter 15. If you like, you can listen to it read to you while you read along in the book and find the right starting place. Write a paragraph summary of the chapter. What’s the main idea of the chapter? Remember, you need five sentences. You need a main idea sentence, three supporting detail sentences, and a closing sentence about the topic. Can you do it? I’ll do the first one with you. Draw a box around the 50 and take one away to make it 49 if that helps your brain understand. Do you remember how fractions and decimals are related? Finish chapter 16. If you like, you can listen to it read to you while you read along in the book and find the right starting place. You know that 34/100 = 0.34. That is 34 hundredths. There are two places (two numbers) after the decimal point, so when you change it into a fraction you put it over 1 with two zeros. Match the fractions to the decimals. *Print out this worksheet about sentences. Follow the directions to make compound and complex sentences. How do you write 1/10, one tenth, as a decimal? You write 0.1 . There is only one place (one number) after the decimal point, so when you change it into a fraction you put it over 1 with only one zero. Match the fractions and decimals. Finish reading chapter 17. If you like, you can listen to it read to you while you read along in the book and find the right starting place. Tell someone about the chapter. What do you think will happen next? Write two simple sentences, two compound sentences and one complex sentence (because, if, when…). Now add an adjective to every sentence. Do the lesson and quiz on knight forks. Play with the order of decimals. Play rookie mode. Remember how much bigger 1/10, one tenth, was than 1/100, one hundredth? Wouldn’t you rather have 1/10, one tenth, of the pizza? 5/10, 5 tenths, was a lot bigger than 5/100, 5 hundredths, too. Make fractions again. Make 2/10 and 2/100. Which is bigger? The hundredths fraction was bigger. Why? 78 has 7 in the tens place (or the tenths place since it’s a decimal). 7 is bigger than 3. When you compare fractions, you FIRST have to look at the FIRST decimal place, the FIRST number, the tenths place. Which ever number is bigger, that’s the bigger decimal. Read the next part of chapter 18. If you like, you can listen to it read to you while you read along in the book and find the right starting place. Copy a sentence from this chapter. What do they mean? It will tell you a word and what it means. Then it will tell you a part of the word and you will guess what it means. For instance, a tricycle has three wheels. A triangle has three sides. Tri means three. Compare the decimals. Choose level 2. Add double digits. Choose addition. Leave all the choices as is except the last thing. It has 4 highlighted. Change both of those to two. The example problem will change from having four digits to just two digits, double digits. Finish reading chapter 18. If you like, you can listen to it read to you while you read along in the book and find the right starting place. Find the correct plural. Read the lesson and then click to do the exercises. Choose the correct plural noun. Match the decimals and fractions. Choose level 1. Subtract double digits. Choose subtraction. Leave all the choices as is except the last thing. It has 4 highlighted. Change both of those to two. You have to change the bottom one first. The example problem will change from having four digits to just two digits, double digits. Read chapter 19. If you like, you can listen to it read to you while you read along in the book. *Print out this worksheet and combine the sentences. You can check your answers on page 2. Sometimes there is more than one answer possible. Match the decimals and fractions. Choose level 2. Read chapter 20. If you like, you can listen to it read to you while you read along in the book. Make compound sentences using conjunctions. Learn a fact. 9 x 9 = 81. Do numbers 1, 3 and 4 along the top, “learn with pictures,” “understand the basics” and “play a game.” You know all the facts! Do this hundredths matching activity. Write five sentences. Do it now. Don’t look below. Combine four of the sentences (hidden below) with four of your five sentences using: and, but, or, so. You will need a comma and then the conjunction. With the fifth sentences, combine them using because. Do NOT write a comma before because. Highlight below to see the sentences. xtramath It’s time to start xtramath for multiplication and division. A parent can set it to multiplication if it’s not there automatically. Hopefully you are prepared to finish multiplication quickly and then can move onto division. Watch the place value song. Then find the right place value pirate. Make change. Click on medium and don’t show change amount. Count onto the amount they spent or subtract to find the amount of change. Finish reading chapter 21. If you like, you can listen to it read to you while you read along in the book and find the right starting place. Can you figure out what these word parts mean? Click on Play Now and then on Simple Tutorial. Look in the top left corner. Read the word and definition. Then make a good guess about what that part of the word means. *Complete the multiplication worksheet. Check your answers. Measure the line to the sixteenth. Each inch is divided into 16 sections. To find 9/16 you would count over 9 lines. To find 2 and 4/16 you would start at the two and count over four lines. Copy a sentence from what you read today. Drag the word to the right ending to make plurals. You can be both players. *Complete the fact family worksheet. You are used to fact families from addition and subtraction. Multiplication and Division work the same way. Check your answers. Read the next part of chapter 22. If you like, you can listen to it read to you while you read along in the book and find the right starting place. Write a fun story about having a giraffe as a pet. Make sure you use some compound sentences. 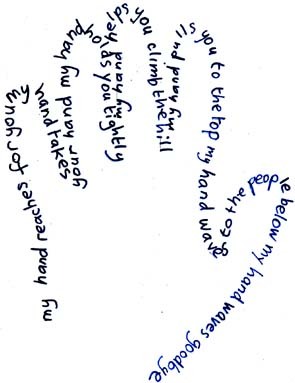 Get a high five for each compound sentence you use and for each sentence with because. *Answer the price questions. Check your answers. Measure ten things in your house in inches and centimeters. Record your measurement on the next worksheet. Use decimals when recording the lengths. A quarter inch is 0.25. A half inch is 0.50. Three-quarters of an inch is 0.75. Each millimeter line between centimeters is one tenth, 0.1. Two lines is two tenths, 0.2. Finish chapter 22. If you like, you can listen to it read to you while you read along in the book and find the right starting place. Play word invasion. Uncheck the bottom two (adverbs and prepositions) by clicking on them. *Use a die to complete the worksheet. Check your answers. Play with this kilogram scale. Kilograms are how weight is measured in most of the world. A kilogram is 1000 grams. When I buy my vegetables, I buy them by the kilogram. A kilogram is about two pounds, not exactly, but as an estimate. Click on all of the show me buttons to see the fraction and decimals of how grams compare to kilograms. Write a short story called, “Where Is My ______?” Decide what is lost and write about the things you did to find it. You will slide the lower bar over to the right one at a time until the scale tips past the middle line. Then you need to move it back one. Next use the top slider to move over little by little until you get it balanced on the middle line. It will automatically take the little creature off the scale once you get it right. If it looks right, but the creature didn’t move, then just adjust it a little bit more. It will tell you how many grams it weighs. You type in the total and click submit. The first one you will add to zero. Next time you’ll be adding the first weight to the second weight. Read the next part of chapter 23. If you like, you can listen to it read to you while you read along in the book and find the right starting place. Weigh each creature like before. Continue on when to subtract the weights. *Color the fractions. Check your answers. Finish reading chapter 23. If you like, you can listen to it read to you while you read along in the book and find the right starting place. Read the plural spelling rules. Make the weight shown by adding the creatures to the scale. This scale is in pounds. That’s the weight measurement used in America. It is divided into 16 parts, like an inch. The scale shows 8 lines between each pound, so 1/16 is halfway between two of the little lines. Give it a try. If you need to take a creature off of the scale, just click on it. Read chapter 24. If you like, you can listen to it read to you while you read along in the book. Click on Spin to get the directions for your writing assignment today. Each part of a pound is called an ounce. A new baby weighs about seven pounds. A slice of bread is about an ounce. This is the last chapter of the book. How would you end the book? What would you have happen? *There are two pages for Day 159 in the worksheet packet. Print them both out. If you are not an American, then pour a liter box of drink into a measuring cup and see if it’s a liter. Measure other liquids in liters and milliliters. If you are in America, look at the charts on the second “Day 159” page. Test them. Measure tablespoons of flour into a quarter cup. Measure from a gallon of drink. How many cups? Make lots of measurements. Read the next part of chapter 25. If you like, you can listen to it read to you while you read along in the book and find the right starting place. Play with the liter and milliliter measure. Read the amount and then click on the l or ml to reveal the answer. Click on show me to reveal the fraction and decimal relationship between liters and millileters. *Write about the book by completing a book report. Play this vocabulary review game. Read this story. Soon we’ll read it as a play. How do you spell the plural? *Print this worksheet and fill in the blanks. You can check your answers on page. Play all three levels of estimation golf. (*) Follow the directions on the Plot worksheet. (You don’t have to print it if you don’t want to. It’s 8 pages.) If you don’t have it printed out, then use other paper to draw the pictures. For the first two pages just point to each picture in order, what happened first, then second, then third, then fourth. Write about a time when you were either scared or brave. Read the story as a play, “A Caterpillar’s Voice” script. Solve the word problems. There is a trick in each problem. They give you more information than you need. Only use the information you need to find the answer. Don’t let them trick you! Write a paragraph about how living in a cave is different from living in a house. Give a few details about what’s different. Write a conclusion that mentions your main idea. Solve the word problems. There is a trick in each problem. They give you more information than you need. Only use the information you need to find the answer. Play this spelling game. Choose “All Phonemes” at the bottom of the list. Choose the letters that complete the word. Click on the word if you need to hear it again. *Print out pages 3 and 4, Apple Dumpling Character and Setting. Read the last page about the setting of the book. Follow the directions on the Trading and Giving and What Made the Old Woman Happy pages. You are going to be writing a play. You need to think about what characters are going to be in your story, your play. Make a list of characters that you would like in your story. Who is the story going to be about? Draw a picture of each character and tell someone about them. What do they act like? Are they mean? Nice? Happy? Funny? Smart? Are your characters going to be people? animals? robots? You also need to think about a setting for your play. Where and when is your play going to take place? At home today, on the moon a hundred years from now? * Print out pages 4 and 5 (or 1-5 if you don’t mind printing the extra pages), Apple Dumpling Plot, Main Idea. Follow the directions on the first three pages and draw the pictures. If you don’t have the pages printed, then you can use other paper to draw the pictures. Complete pages 4 and 5, the Main Idea and the Main Problem pages. What is your play going to be about? What is the story going to be? What problem is your main character going to have? Did your character lose something and need to find it? Does your main character need to get somewhere but doesn’t know how? What ideas do you have? Read part of the play, The Apple Dumpling, or watch the play. Pay attention to how it is written. Do you see the names of the characters? Then it shows what that character says. Where does it say what the characters do? Create a symmetric pattern. Click on create a pattern. *Print this worksheet and fill in information about your characters, setting, and plot. Place the shapes on the bar graph. *Fill in this story map with information about your plot. Tell someone what is going to be the beginning, middle and end of your story. The beginning will tell what the problem is and what the character needs or wants to do. The middle will tell how the character tries to do it. The end is when the character finally can do it. Answer questions about the bar graph. Grab the bugs and place them on the graph by color. Make a graph. Create a title, labels, and amounts. Write your play. Remember how to write it? Write the character name. On the next line write what the character says. Write separately what the character does. Use your story map to help you get started. Do this lesson on the parts of a graph. You will also see a line graph and a circle graph. Drag the right cold treat to the right part of the circle graph. The more orders there are for that treat, the bigger the color on the circle graph (or pie graph). Work on writing your play. Today make sure you finish the beginning of your story. Your character should tell what her problem or his goal is. Do this lesson on the types of graphs. If the arrows aren’t working right, you can just scroll down the page to the next part. Look at the circle graph. What does it show? Change the information and watch the graph change. Work on writing your play. You should be writing the middle of the play. Use your story map. What different things will your character try to solve his problem or reach her goal? You have about three days to work on the middle. Watch this lesson on line graphs. Take a screen shot and print it out to include in your portfolio. Do this lesson on pictographs. Figure out the cost of each type of candy. If there were two candies that cost ten cents, each would cost five cents. Work on writing your play. You need to write the end of your play today. *Complete this worksheet about revising or fixing your story. Follow the directions. Here is the site I’ve been getting the lessons from. There are several more if you want to get better. Choose two activities from Math 3 for review. Read your play with your family. Chess — You have finished through class 5. There are 9 classes if you want to learn more and get better. Play chess online with other kids. Math — Finish all of your math facts at xtramath or use our facts practice workbooks. Play games to practice your facts. English — Do you need to practice your handwriting? The more you practice the quicker you will get at it and the easier it will be for you. Or, would you like to learn cursive? If you aren’t typing yet, Dance Mat Typing is the place to learn.